So, Bloomingdales are the first online retailer to stock the brand new clothes cleaning device called Swash. Haven't heard about this bad boy as of yet? It's only a matter of time before you are reading about it in September issues, we have no doubt. 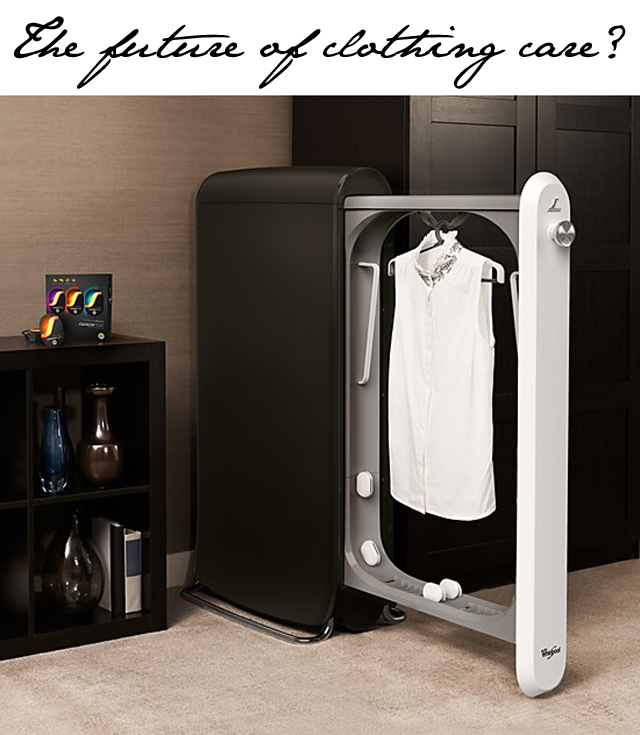 Swash is a new technology from Whirlpool that looks like a clothes caddy of sorts only this guy has a few tricks up its sleeve. Sadly, it's not truly a dry cleaner. In fact, the swash is being marketed as a device to use between dry cleans. The Swash system works to iron, refresh and revitalize clothing in ten minutes so you're ready to go, out the door, with an item that appears as if it could have just come back from the dry cleaner. For a price tag of $499, we were hoping Swash actually would be an at home dry cleaner. If it were, we'd buy three at once. Sadly, such a product is still in the works. For now, however, if you're happy to cut your dry cleaning bill in half here's the guy to get it done. How many dry cleaners visits would equal $500? Just saying... do the math before you commit.